Mary Elizabeth Greenstreet, 64, of Monmouth, IL, passed away at 9:37 a.m., Sunday, April 8, 2018 at OSF St. Francis Medical Center, Peoria, IL. She was born on April 22, 1953 in Bethesda, MD. The only daughter of Thomas and Barbara (Lieres) McCarthy. Mary was raised and educated in Burbank, CA, graduating from John Burroughs High School in 1972. On March 11, 1977 Mary was married to Donald E. Greenstreet in North Hollywood, CA. He preceded her in death on October 25, 2009. Mary was a nurse for some time before dedicating her life to raising and caring for her family. Family was very important to Mary, in her spare time she enjoyed visiting with her children and grandchildren. She was also a member of Immaculate Conception Catholic Church. 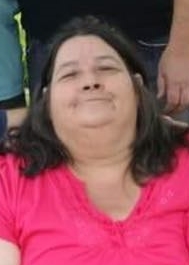 Surviving members of Mary’s family include her children; Melissa (Billy Brooks) Greenstreet and John (Sabrina Young) Greenstreet, both of Monmouth, IL, 6 grandchildren; Tyler Greenstreet, Keyera Moran, Jaylyn Greenstreet, Carson Greenstreet, Taelor Brooks, and Skylar Brooks, her father, Thomas McCarthy of Glendora, CA, 3 brothers; Michael (Sheila) McCarthy of Ojai, CA; Timothy (Donna) McCarthy of Ventura, CA; and Kevin McCarthy of Ventura, CA, along with many nieces and nephews.